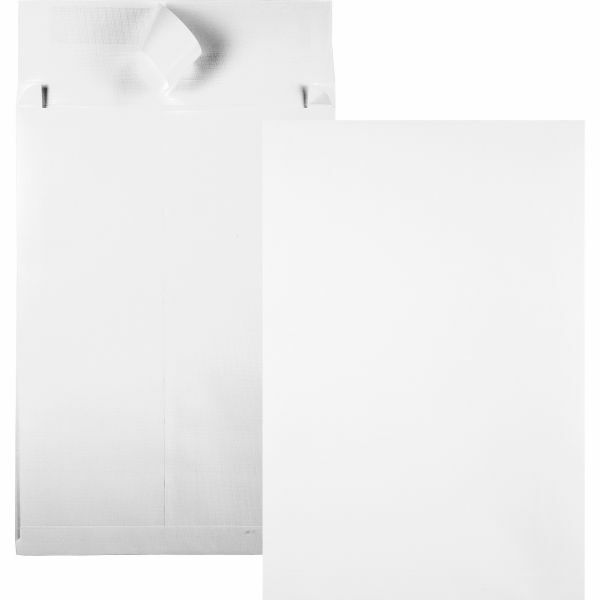 Expanding Size—Take advantage of the extra material to stuff the envelopes with everything you need. Peel off the flap to reveal the self-sealing Redi-Strip® adhesive, which offers long-lasting hold and dependable stick. Water-resistant material protects contents from rain and snow. Quality Park Ship-Lite 12" x 16" Expansion Envelope - SHIP-lite Expansion Envelopes offer plenty of added capacity in open-end style. Ideal for mailing bulky materials such as computer reports, books and binders. Perfect replacement for costly boxes or cartons. Envelopes feature a convenient Flap-Stik adhesive flaps and linen texture for a professional distinctive image. Not only does the Ship-Lite® construction offer an expandable fit, but it's also reinforced for secure durability.